Abstract: With a new generation of large etendue (the product of field of view and mirror area) survey telescopes there is a growing need for astronomical alert processing systems. Astronomical alerts correspond to detected changes in the sky with an astrophysical origin. Astronomical alert processing systems involve the real–time processing of data for alert generation, real–time annotation and classification of alerts (up to 10 million events per night) and real–time reaction to interesting alerts using available astronomical resources. We are building a new alert classification and reaction system called ALeRCE: Automatic Learning for the Rapid Classification of Events. ALeRCE is an initiative led by an interdisciplinary and interinstitutional group of scientists from U. Católica (DCC), U. Chile (CMM, DIE), U. Concepción (DCC), the Millennium Institute for Astrophysics – MAS and U. Nacional Andres Bello – UNAB (DCF) in Chile, in collaboration with international researchers from Caltech (CD3), Harvard U. (IACS–SEAS) and U. of Washington (Dirac). In this talk I will discuss some data science challenges in astronomy and in particular for the problem of alert classification, including the ingestion, annotation, database access, processing power, machine learning classification and visualization of these alerts. About the speaker: Francisco Förster Burón is an astronomer and Research Scientist at the Center for Mathematical Modelling (CMM) at Universidad de Chile. 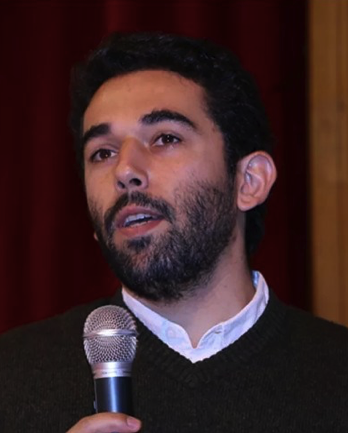 He is also a young researcher of the Millennium Institute of Astrophysics (MAS) and a Fondecyt Iniciación Fellow. He did his Ph.D. thesis on Type Ia Supernovae progenitors at the University of Oxford (2009) with Philipp Podsiadlowski. His current work focuses in constraining the progenitors of supernovae via a real-time analysis of large volumes of data taken with the DECam instrument and using the supercomputer at the National Laboratory for High Performance Computing. Date: Friday June 1 2018, from 12:00-13:00. Venue: Auditorio Philippe Flajolet, Universidad de Chile, Beauchef 851, Santiago.